Haven't seen it. I have been aware that many of those, like me, who have little interest in the usual message-driven "Christian" entertainment, were anticipating it. Eleanor Barkhorn at The Atlantic, in "Why 'Blue Like Jazz' Won't Save Christian Cinema" thinks the film fails to live up to Donald Miller's book in its attempt to portray authentic Christianity. The promise of an authentic, unsanitized Christian film resonated with people. When Blue Like Jazz ran into budget trouble in fall 2010, it raised $345,992 on Kickstarter—then a record for the crowdfunding site. The 4,000-plus backers believed the movie could offer a still better way: a heartfelt depiction of the Christian life as lived not by a heroic fireman or abortion survivor but a real, flawed human being. "Most of my movie-going friends are ready for a different representation of their faith beyond what the Christian Movie Establishment is currently serving," Blue Like Jazz director Steve Taylor wrote recently. This film, which was released last week in selected cities, was supposed to change that. 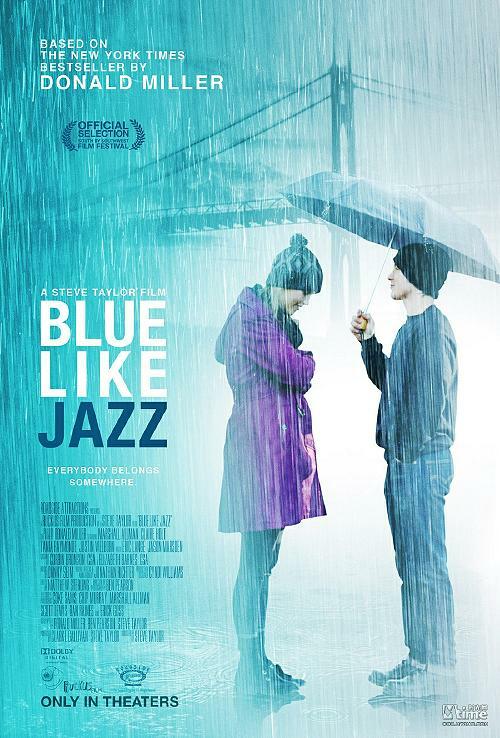 A more positive take on the film: "Why You’re Missing Out If You Don’t Go See Blue Like Jazz"